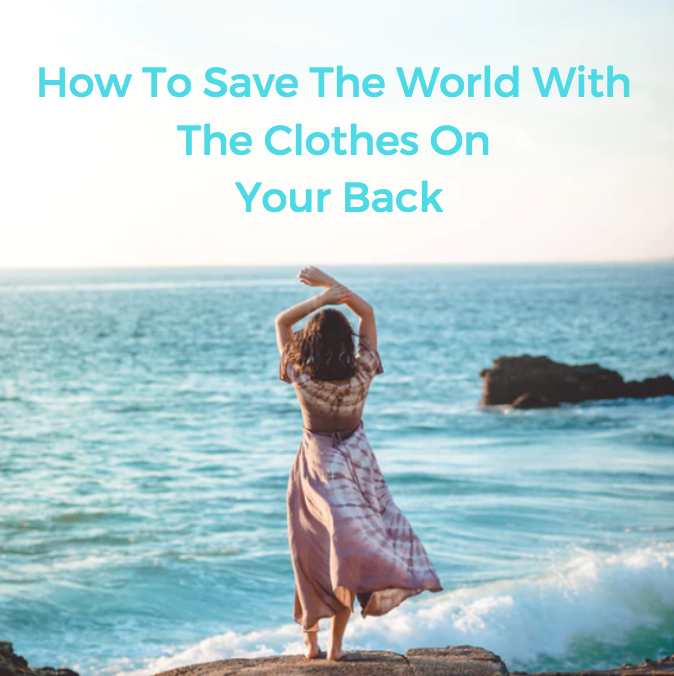 With Fashion Revolution Australia week coming up, I thought there’s no better time to go through the wide world of fashion to empower you to make good fashion choices. I’m going to give you a few things to think about today rather than the full-blown solution to every ethical fashion question that exists. More and more information is coming out every day and more and more resources emerge so we’re just going to take wee little baby steps in the right direction. If from today you start at least thinking “Do I really need another cheap top?” and “Could I seek out a better quality organic replacement for 3 garments, by buying 1 great quality organic one instead?” or even could I buy less cheap stuff and replace with fewer but better quality items – organic or not, then I feel we’ve accomplished something life and planet-changing with just those 3 things alone. Truly. Today is not about thinking ‘I have to throw out all my clothes and start over’, so relax. This is all about gradually shifting buying patterns and behaviour over time. What I’ve done over the past couple of years is simple: Buy half as much and twice the quality and then organic basics where I can. It’s been a revelation. I LOVE my closet. I feel great in all of it. It’s well cut, well made and quality fabrics, organic where possible, fair trade / high rating on the fair workers reports. What’s not to love!? I’ve never had so FEW clothes but felt so GOOD about my wardrobe. Clothes are another part of our lives where we feel bad ‘spending big’ on one item and feel good getting ‘lots’ for our money. This mentality needs to stop because it’s totally unsustainable. How about we be proud of our items and care for each of them well, instead of mindlessly staining them, abusing them by washing intensively and tumble drying… how about we see clothes as precious because they are! Becoming enlightened about clothes is just like becoming enlightened about cosmetics, chemicals, food… More isn’t more. Less is more, and better is best. For downsizing Un-Fancy is a wonderful blog to follow to help you feel awesome about the ‘less is more’ theory when it comes to your wardrobe. Our total water footprint goes WAY further than what type of washing machine we buy or whether we save water by peeing in the shower. Our total water footprint includes our clothes. It can take up to 2,700 litres of water to produce 1 cotton T-Shirt. Skipping the ironing of your T-Shirt, can save up to 1/3 of its carbon footprint. I knew I was an eco-warrior by abstaining from ironing at all costs. Anyone else out there super chuffed to read this? Almost all of the world’s dyes are coal or petroleum based, and synthetic. For anyone wanting to venture into the world of DIY natural dyes, have a look at this gorgeous project and this great resource on natural dyes. Clothing is often sprayed with formaldehyde for transportation to prevent mildew and wrinkling. Clothing that boasts “wrinkle free” attributes, could possibly contain PFCs – used in Teflon technology. It will NEVER break down in the environment. Scary. Wrinkle-free = enemy! Nonylphenol Etholytate is another textile chemical used throughout Asia – without restricted quantity! This is, like BPA and parabens, in the ‘endocrine disrupting’ family. Wash your clothes a couple of times before wearing to minimise exposure. Volatile organic compounds (VOCs) and dioxin-producing bleach are used by textile industries, where the materials for clothing are produced. Dioxin is the active ingredient in Agent Orange – the same guys who made Agent Orange are the godfathers of genetic modification believe it or not. Again, a double pre-wear wash helps. Thought leadership emerging, suggests that microfibres from clothes and lint are a massive ocean pollutant and it makes sense. Read more on that here. PERC is a chemical known as perchloroethylene or tetrachloroethylene. It’s the solvent used by about 85% of U.S. dry cleaners but is also used as a metal degreaser and in the production of many other chemicals. It is found in the air, in drinking water, and in our soil. It can be detected in most people’s blood, as well as in breast milk. What’s the risk? In 2008, the Environmental Protection Agency (EPA) suggested that PERC be classified as a “likely human carcinogen.” The EPA found that PERC’s most dangerous non-cancer toxicity is brain and nervous system damage — and set safe exposure levels well below levels that cause such damage. Remember though, that chemicals are cumulative and you don’t ‘detox’ from PERC in between uses fully, so it builds, and builds and builds. If you want to find a perc free dry cleaner, it’s actually quite easy thanks to Google. Australia has some of the most lax chemicals-in-clothes laws on the planet. Have a read of this Choice investigative piece to see what the situation is and how returning a shipment to China, it might not even be accepted, because of the chemical levels. How scary is that? Peeling back the lid on convenient, fast fashion is actually a bit terrifying – You’re not alone in thinking that. I still have Zara clothes lying about and shoes that I’m not certain are cruelty free – This is a process very much still going for me and I’m years into my journey, so take it easy and start being mindful of quantity most of all and see if you can trade up, and buy less. So what on earth can we do? 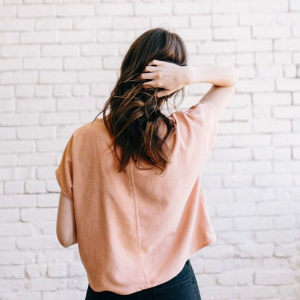 We can find brands that make clothes locally. Check out this gorgeous Queensland brand, Sinerji. There’s also Blessed Earth for PJs and basics, and Boody for underwear basics. And there are a few great kids clothes and adult clothing & accessories on BIOME‘s site too. 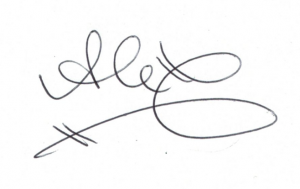 We can, without fail, wash our clothes twice before wearing them, to remove some of the chemicals… and put them in our waterways instead, then into the fish, then back into us – See why those petitions that come past your desk from ‘hippies’ are actually mega important to sign? These are big issues and they need us to think BIG to help solve them. Still, as a short-term fix, washing twice WILL be a lower tox option at the very least for you and your kiddies. We can seek out brands that make ‘green’ production and materials a part of their story. Supporting the brands who are part of Greenpeace’s Detox our future campaign, removing harmful toxins out of their clothes by 2020, is a great start. We can try sticking to the pure organic cotton, wool, silk or hemp clothing where possible. We can try and avoid rayon, polyester, nylon, acrylic, and acetate where possible. There’s an interesting piece on MODAL style fabrics HERE. If we do buy something synthetic, we can commit to giving it a really long shelf life – sell, swap or gift after you don’t like it so it lives on before going back into the land. You can stay away from strange sounding ‘antibacterial / anti sweat’ registered trademarks on clothes – especially common in exercise gear. These are often hiding nanoparticles of silver or triclosan, both of which wash out after a few washes, anyway, and into our environment. So while a brand is using it as a ‘feature’, it’s a temporary one in terms of effectiveness, that also potentially harms us and then definitely harms the environment. Can’t quite put my finger on a positive here. Can you? We can look for GOTS certification. The Global Organic Textile Standard (GOTS) is the worldwide leading textile processing standard for organic fibres, including ecological and social criteria, backed up by independent certification of the entire textile supply chain. If fashion and clothing is an area you wish to delve further into, then please grab To Die For. It’s amazing, confronting and empowering all at the same time. Check this full list attached HERE to see how your favourite mainstream brands rate. Something that can happen as you transition back to natural fibres in clothes, is the moths can come munching. Annoying as it is, it’s a good sign – everything is something else’s food in the natural world, and when nature ‘is about’ that means nature is, well, about… if you see what I mean. Luckily BIOME has us covered there with these Thurlby Botanical Bug Busters. Pepper, eucalyptus, and clove essential oils are great for keeping moths away too. A couple of drops on a tissue and into the wardrobe freshened up weekly. Here are a few clothing brand recommendations to get you started. Nourished Life now stocks a great range of bamboo and high percentage organic cotton clothing basics for little bubs and grown-ups alike. All GOTS certified. Bhumi Organic Cotton is starting to get a bit fashionable for us on the basics front for men and women – and they’re divine! BRAINTREE in Manly Sydney uses hemp and bamboo. The Slow Fashion values practiced by High Tea with Mrs. Woo are these – LOVE! Slowing down consumption and decreasing fashion production to help reduce raw material use and alleviate pressure on natural cycles and what the earth can provide. Artisanal-production instead of mass-production – producing long-lasting garments by sourcing high-quality fabrics to create well-fitting, well-made designs with timeless style. Being more resourceful in using local materials and resources where possible and support the development of local businesses and skills. Encouraging customers to support small local businesses, fair-trade and locally-made clothing. Encouraging customers to have better value their garments – learn not to discard or waste, instead to love and mend. Educating customers that prices are often higher because they incorporate sustainable resources and proper wages. Keeping traditional methods of garment and textile making and dyeing techniques alive – give vibrancy and meaning to what we wear and how it was made. Respecting people, supporting local communities and building long-lasting relationships with suppliers and customers to encourage better sustainable practices and create a stronger movement. Making better decisions, taking responsibility and recognising that we are all interconnected to the larger environmental and social system. People Tree UK – Ships worldwide and BEAUTIFUL clothes. I’ve bought a few tees, a skirt, and 2 dresses from here and they’re fun, fashionable and great service. Watch for the sales by being on their mailing list, so that you get a good deal too! Beaumont Organics UK The best sweatshirt I’ve ever bought in my whole life. Expensive but two winters so far for three times a week gym and still perfection. This online, worldwide shipping store is a little exxy so if out of the budget, move right along… I shop the sales here only for my budget and buy a couple of things in the year. The sweatshirt I got from here is the warmest, coziest, softest thing in the world and was worth every penny for how I feel in it in winter. Threads for Thought – A favourite USA site with basics and fashion-forward clothes too – They ship worldwide. The basics are available across the US in WHOLEFOODS stores too. Love their simple tees! KOWTOW New Zealand Ethical, organic fashion – Brilliant for basic, minimalist style vibes. RANT CLOTHING – AUSSIE ONLINE – A great, fashionable ethical brand online. 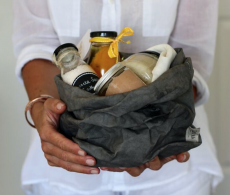 VEGIETHREADS – Vege Threads is an Australian eco fashion label that focuses on sustainability & social awareness. And then there’s the not so much an *always* on the ‘natural fibres’ front, but focusing on locally designed, sourced and made are brands being counted in the mix of overall impact. 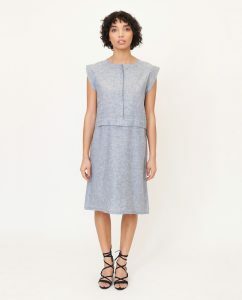 Ethical Clothing Australia promotes ethical working practices for Australian made garments, where homeworkers are often exploited despite Australian labor laws. Accredited brands include Cue, Anthea Crawford, Carla Zampatti and Ginger&Smart. – See more here. 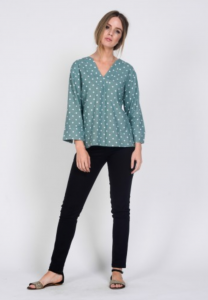 Another great local Sydney brand is Good Day Girl with only marginally more expensive than your Country Roads and Cue’s, makes made to measure clothes just for you locally, by a team of Vietnamese women (and accredited by Ethical Clothing Australia). There’s good stuff starting to happen. Simple things like Stella McCartney making all her dust bags and shoe bags from organic cotton, choosing more ethical materials and using less water in production where possible… We’re on the up and my daggy, badly cut hemp tops buying experiment will hopefully soon be a distant memory – I’m trying! Make a list of clothes you’re likely to need in the next couple of months and research options local to you. Could you do what I did and consider 50%? That is, be more scrutinising about what you REALLY need, and buy half as many items and twice the quality? Halve the quantity, Double the quality. 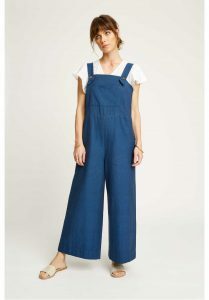 Clothing is a very precious thing and while it might feel awesome to get that ‘crazy deal on the $10 pair of jeans’, the cost is being paid down the line elsewhere – by you and your health, by the factory worker, by the land and toxic chemicals. It just isn’t worth it. Halving the amount you buy and doubling the quality not only takes huge amounts of pressure off the planet but also brings us back to appreciating our things more. Mindful, happy appreciation of special things. Keep applying pressure to the textiles industry however you can. Eventually, things will change. We are seeing it now with more and more McDonald’s chains closing down. We see it with Coke’s 7th consecutive sales quarter decline and their desperate attempt at releasing ‘Coke Life‘ to try and get the health conscious. Problem is, we’re smarter now. They didn’t get the memo. 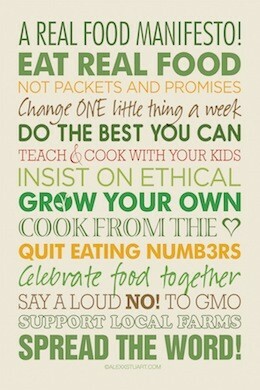 Choosing better is the most positive and powerful force we possess as ‘consumers’ (even though I hate that word!). The big guys will stop making what the people stop buying. Here’s to not ignoring textile industry petitions anymore. Here’s to finding some excellent local clothing brands that promote a more ecological way of doing things. Here’s to trading up and stop mistaking an item that’s more expensive as something ‘snobby’. It’s actually something well made and worth caring about – well past that crappy $5 singlet or $10 jeans. You might like to follow The Minimalists blog. Also – have you listened to the podcast show #5 I did with ethical fashion guru Hannah Parris. While you’re there you should checkout my podcast show #72 with Carol Miltimore, where we talk about life in the ethical fashion business. Or perhaps you want to check out my #62 ‘Wardrobe Crisis’, with Claire Press. 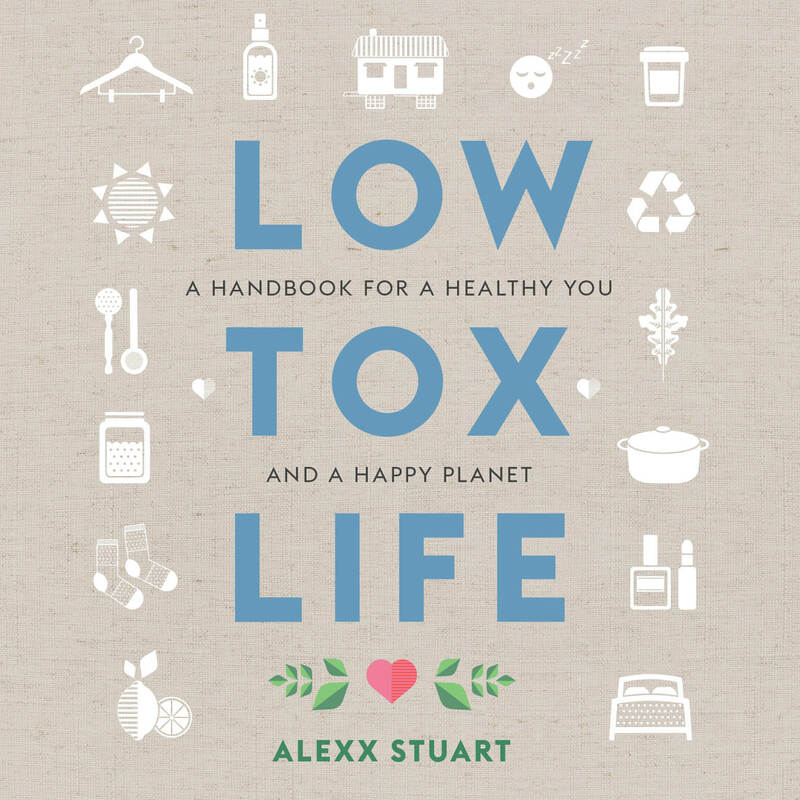 If you’re totally into this stuff and you’re keen to nerd out on all the science then check out my course Go Low Tox where we deep dive into all areas of your home and life and find ways to do things cleaner, better and with less impact on the environment.